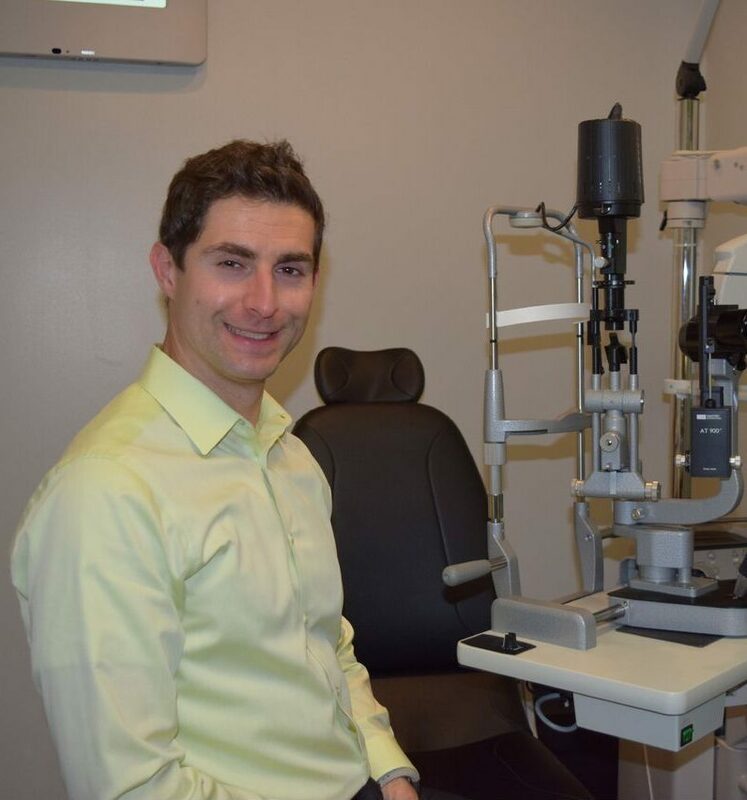 Dr. Jason Stein moved to Sudbury from London after completing his optometric training. Dr. Stein completed his undergraduate studies at the University of Western Ontario, receiving an Honours Bachelor of Medical Science in 2009. Dr. Stein obtained his Doctor of Optometry degree from the University of Waterloo School of Optometry and Vision Science in 2013. He also received the William Feinbloom Low Vision Award for interest and aptitude in clinical care of low vision patients. Dr. Stein completed clinical externships at Family Eye Care in Timmins and Vision America in Mobile, Alabama. Dr. Stein worked with several specialist ophthalmologists at Vision America, receiving clinical training in the management of ocular disease/pathology and post-operative care of cataract and refractive surgery patients. Dr. Stein is a member of the Ontario Association of Optometrists, the Canadian Association of Optometrists and the Sudbury Society of Optometrists. In his spare time, Dr. Stein enjoys hiking, camping, gardening and cooking with his wife.